Are you ready to witness Britain’s biggest royal wedding this afternoon? Better drop everything including your jewelry making kits before the live coverage of the entire wedding ceremony on national television begins any moment now. Prince William of Wales and Kate Middleton. 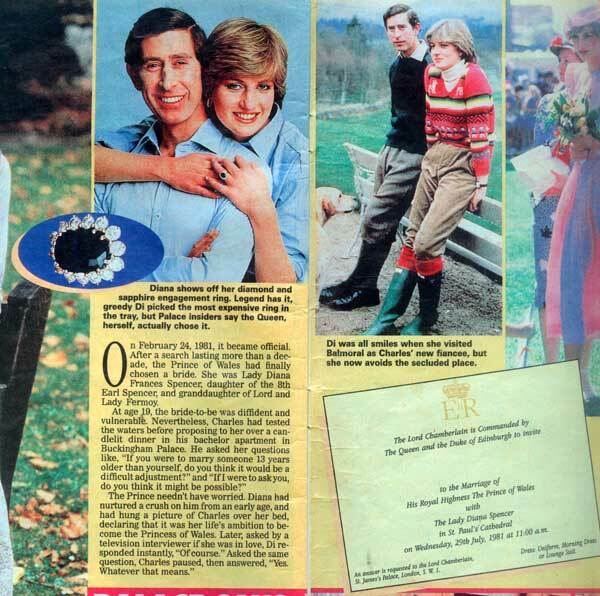 Middleton wears the engagement ring worn by her mother in law, Princess Diana, during her engagement to Prince Charles (see photo below). All eyes now set on the lovely bride (and how she looks with her mysterious wedding gown) as she joins her dashing groom at the altar of the Westminster Abbey. Prince William and Kate Middleton’s nuptial is the biggest royal wedding since Prince Charles married Lady Diana Spencer in 1981. Prince Charles and Lady Diana before their historical wedding in 1981. This entry was posted in Occasion, Wedding and tagged kate middleton, kate wedding gown, prince william, Prince William of Wales, Royal Wedding, wedding of the century on April 29, 2011 by Yami.